Are Payday loans better than Pawnshop Loans? Can an overdue payday loan affect your health? Researchers from the University of Washington recently concluded a 2018 study that shows frequent use of payday loans leads to poor health. 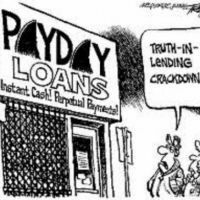 This could be as a result of the negative stress attributable to high-interest rates and tough repayment conditions imposed on payday loan borrowers. According to the same research, some people actually reported feeling worse after spending their payday loans. What happens when a defaulter gets overwhelmed with anxiety and stress due to outstanding payday loans? They may suffer from insomnia, indigestion, and loss of appetite. As time progresses, the defaulter suffers from severe conditions such as high blood pressure, mental breakdowns, and weight loss. In some cases, the piling stress can trigger suicidal thoughts. Here are victims who committed suicide due to payday loan-related stress. Nasib Chuhan enrolled for an undergraduate degree in Geography at Leeds Beckett University in 2017. In the same year, Nasib started borrowing payday loans. At first, it didn’t raise any red flags because fellow students in his university also sought payday loans every now and then. He borrowed more payday loans unaware of the repayment terms attached to his payday loans. After receiving a disheartening message from one of his payday lenders one day, Nasib regretted his borrowing habits.His payday lender demanded the principal amount plus an interest rate of 1,200 percent. Nasib Chuhan chose to commit suicide by hanging himself inside his flat. Ian Jordan from Hampshire, UK was a 60-year old retiree who frequently borrowed payday loans. Unfortunately, Ian ran into undisclosed financial problems that hindered him from fulfilling his payday loan repayment commitments. Despite receiving threatening text messages on a daily basis, Ian Jordan maintained a bubbly personality for so long that his family and friends couldn’t see his underlying problems. Unfortunately, Ian couldn’t bear the stress any longer. He owed over £20,000 pounds and to make matters worse, one of his payday loan creditors imposed a 500,000 percent interest rate! With no one to turn to, Ian Jordan fatally overdosed on strong painkillers. Kane Sparham Price borrowed his first payday loan when he reached 18 years old. He borrowed additional payday loans unaware or perhaps ignorant of the consequences that followed non-payment. The ease of accessing payday loans encouraged the young Kane to relocate to a premium flat beyond his income range in 2013. After patiently waiting for their overdue installments, Wonga-the payday loan lender wiped out Kane’s bank account. This devastating financial blow by Wonga was too much to bear for the 18-year-old payday loan defaulter. Kane went to his flat where he hanged himself. In the three incidents explained above, the victims made two serious mistakes. In all incidents, the victims neglected to read all the terms and conditions attached to their payday loans. Second, the victims borrowed additional payday loans without paying off the previous ones. Are you tired of harassment from lenders due to overdue payday debts? Get in touch with National Payday Loan Consolidation today!